With the UV-A light output optimised to perfectly match the house fly’s vision spectrum, ASTRON lamps guarantee you catch more flies more quickly. acc. IEC 60.335-259 International Standard for Insect Exterminators through TUV-Rheinland. 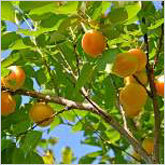 Compliant with RoHS Standards (Removal of Hazardous Substances). 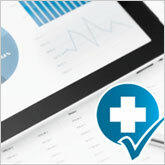 Approved for use in HACCP (Hazard Analysis at Critical Control Points) Approved Food facilities. Shatter-proof coating from DuPont. FEP (Teflon) material is unmatched in quality (strength, ageing profile, temperature profile and UV-A transparency). Guaranteed to survive a 4 metre drop with no glass fragments escaping from the shatterproof sleeving. 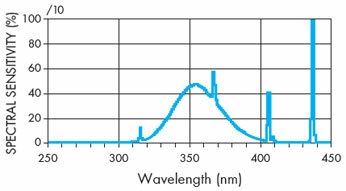 Light output targeted to meet the house fly vision spectrum of 300 – 420 nm. Lamps provide UV-A light for 9,000 hours (one year) of continuous use. Targeted at the House Fly Vision Spectrum. 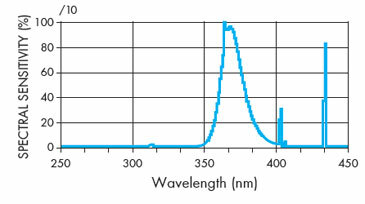 The house fly vision spectrum is totally focused on observing UV-A light in the spectrum 300 – 420 nm, peaking at about 360 nm. Our ASTRON lamps closely match this spectrum, thus optimising the attraction of flying insects. Other lamps often provide significantly less UV-A light, which is spread over a wider spectrum, thus limiting their attraction and kill of insects. 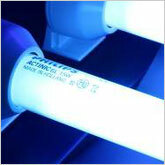 Available as an option exclusively to VECTOTHOR are our PHILIPS Long-life UV-A Lamps. PHILIPS Long-life UV-A Lamps need only be changed every two years. Twice as long as any other lamp on the market. With the UV-A light output optimised to perfectly match the house fly’s vision spectrum this guarantees you catch more flying insects for longer! 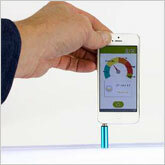 This inexpensive device allows you to measure the amount of UV-A light emitted by your UV-A lamps. 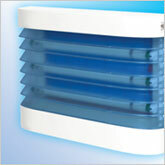 This enables you to ensure your Electronic Fly Killers are working efficiently. 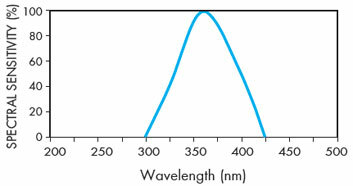 You can also compare and see for yourself how much more efficient the VECTOTHOR UV-A lamps are! In fact, unless you are using VECTOTHOR already, you might be surprised at how little UV-A light is coming off many other lamps! The VECTOTHOR UV Tester simply plugs into the headphone socket on your smartphone to provide the data you need to ensure your lamps are working to keep your premises free of flying insects. 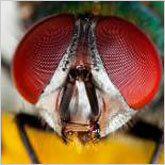 Flying insects are naturally attracted by the UV-A light present in sunlight. Sunlight provides a constant source of light. Most UV-A Light Traps use a magnetic ballast and starter and operate at 50 Hz. This means the actual light source is flashing on and off, fifty times a second. We cannot observe this; however flying insects, with their totally unique eye structure, see this as a flickering, less-than-natural light source. 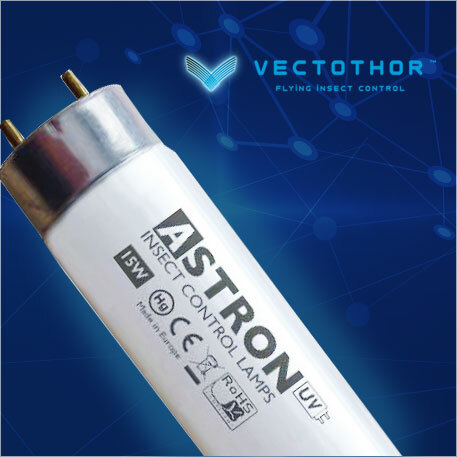 VECTOTHOR uses an exclusive High Frequency Electronic Light Pulse that operates at 10,000 cycles per second; so insects see our light as a constant beam, just like natural sunlight. Consequently far greater attraction is shown to the VECTOTHOR lamps. This further increases the attraction potential of the VECTOTHOR PEREGRINE. It also triggers insects seeking infrared light to enter the VECTOTHOR PEREGRINE. Moreover the louvers trap the insects that have landed on the unit, which means faster catch rates on the glueboards and fewer insects exiting the unit. VECTOTHOR Light Traps employ a Natural Contrast Grid to mimic the natural way sunlight is broken up when it shines through trees. Insects evolved 65 million years ago, seeking their food in tropical forests; so they are naturally attracted to areas of light and shade as this was how they located the food on which they fed. All the VECTOTHOR Light Traps use glueboards to trap insects in full compliance with HACCP Food Industry Guidelines. All glueboards are optimised to ensure total entrapment of the insects, even in tropical temperatures. A silicone paper coating also ensures the boards can be quickly and simply replaced. Glueboards are available in either blue or black colours. 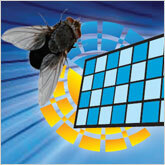 VECTOTHOR Insect Count Software enables fast counting of insects caught on the boards. In accord with HACCP principles this permits storage of historical data, trend analysis per location or client, and digital storage of the glueboard (which can be accessed later for further analysis). Flying Insect Count Software requires the use of blue coloured glueboards.